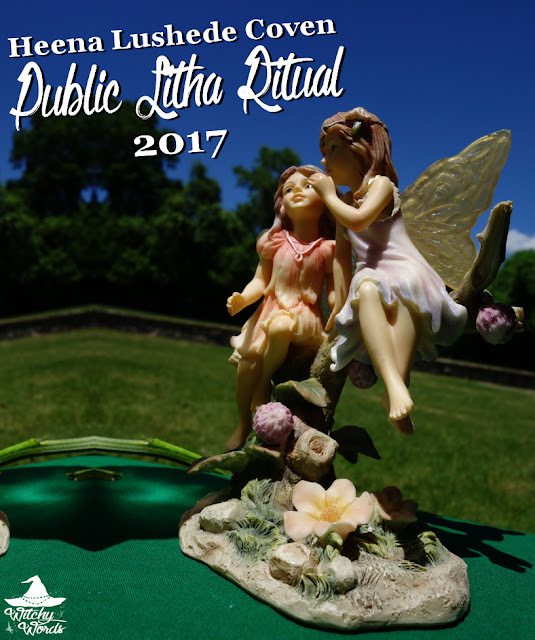 On Sunday, June 18th, Heena Lushede Coven held their public Litha ritual at VFW Post 1829 in Kansas City, Missouri. Despite the weather being hot leading up to this ritual, this past Sunday was absolutely gorgeous and pleasant, perfect for ritual! This ritual was led by Ripley with help from Jason! And it certainly had quite a turnout. The VFW is a wonderful location! The ritual began with Jason and Ripley using a staff and sword to cast the circle. Ripley added flowers and straw to an incense burner, burning them to honor Aine. This incense was then passed about the circle to cleanse it. Afterward, Jason charged water with coins in honor of Cernunnos who carried a leather pouch with coins. This blessed water was sprinkled about the circle, blessing the grounds. Starting east and moving clockwise, each quarter was called. Once the quarters were called, Ripley introduced the ritual by talking about the summer solstice as the longest day, the transition between cultivation and harvest. Jason spoke of the Sun God, stating that he is at his strongest during this time. Litha is a "culmination of what was into what will be." Because fae are so essential to this sabbat, Ripley chose to honor Aine, the Celtic Goddess of love and Queen of the Fae. Likewise, Jason stated that this is the day that the forest is most active, thus he invited Cernunnos, the Celtic God of the forest and master of the hunt. Upon inviting Aine and Cernunnos to the circle, Jason and Ripley turned their attention to the egg on the altar. Inside the egg were four items: A gnawed leaf, a caterpillar, a chrysalis and a butterfly. Each represented the four sabbats thus far. Imbolc is represented by the egg stage: the potential, the spark of life, the beginning. We then cultivate that potential idea as a caterpillar at Ostara, eventually culminating as a chrysalis when the idea begins to transform at Beltane. Finally, at Litha, the idea has manifested into a butterfly, representing the fruition of our hard work. As Ripley and Jason spoke of each concept, they held the item up, eventually placing them back on the altar in front of the faery door as an offering. A basket was passed around with little felt chrysalises inside. We were asked to charge the pouch with an idea we've been working hard on since the beginning of the year. 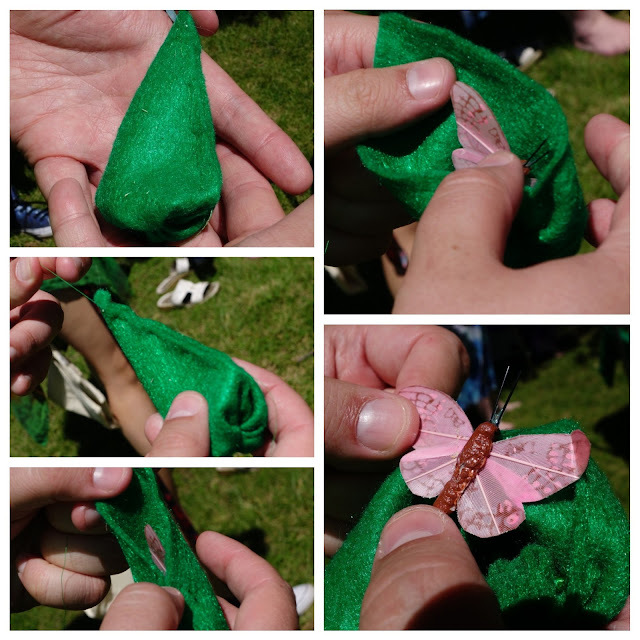 By pulling a thread out, we opened the chrysalis revealing a butterfly inside! ... As was lemonade serving as the "wine." With that, community announcements were made, the god, goddess and quarters were released and the circle was closed. Of course, that certainly isn't the end of festivities. All public rituals include a community potluck and a raffle of items donated by community members to help the coven cover the costs of renting the space. It's all great fun to be had! If you'd ever like to attend a Heena Lushede Coven public ritual or any of the other wonderful pagan community meets around Kansas City, check out the Kansas City Witches Meetup group for more information! I hope everyone had a merry Litha! Lovely ritual! I really enjoy the tie in with the butterfly stages and the Sabbatsame. 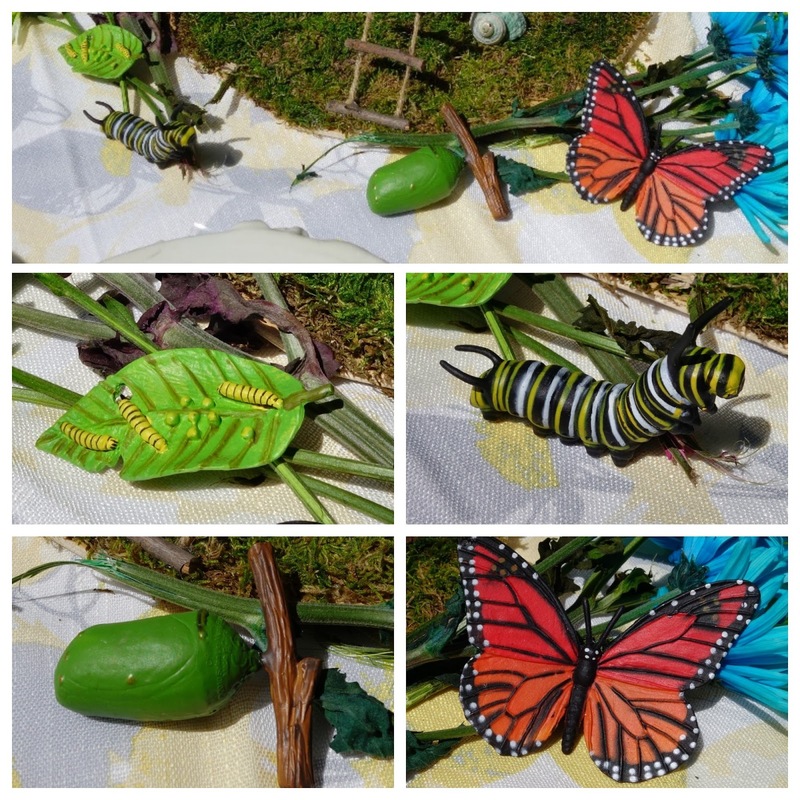 The felt chrysalis and butterfly is a great idea. Thank you! Thank you so much, Kim! Heena Lushede always does a spectacular job for sabbat rituals! Was a beautiful day with beautiful people and a very beautiful ritual! I always look forward to each one. Thank you all for everything you do to bring the community together.